It looks like this year will end with a big bang thanking to one of the world’s leading online casino software providers. Microgaming is planning to release the Game of Thrones online slot on the 1st of December! We have been waiting for this to happen since the game based on the incredibly popular TV series was announced in February, and now it is finally happening. A teaser trailer has been recently released this week. In it the gamblers can see what the gameplay of the new slot is going to be as well as check out several special features. And already several online casinos, 32Red Casino and All Slots Casino included, have confirmed that they are releasing the Game of Thrones…game right after the official Microgaming release on December 1st. The Wild symbol in the game will be the Game of Thrones logo. It, as usually, can substitute any other symbol in the game except for the Scatter one. 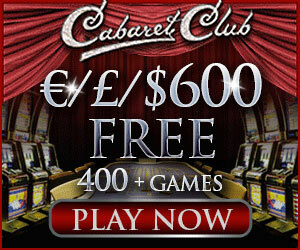 It can also stack up to 3 in the free spins feature and in the base game. Two Scatters or up will trigger the Scatter Feature and award random prizes by doing so. There will be a unique 4-stage gamble feature where the players will get to flip a coin and if they guess on heads or tails correctly – their win will be doubled! Plus, a player will move to the following stage of a Trail Map.